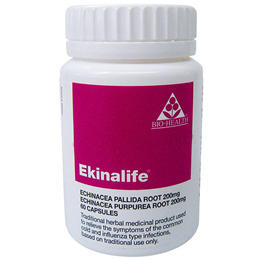 Ekinalife - Echinacea Pallida Root and Echinacea Purpurea is a traditional herbal medicinal product used to relieve the symptoms of the common cold and influenza type infections, based on traditional use only. The capsule shell is made from hypromellose. The capsules are hard, clear, oblong and contain a dark brown powder. 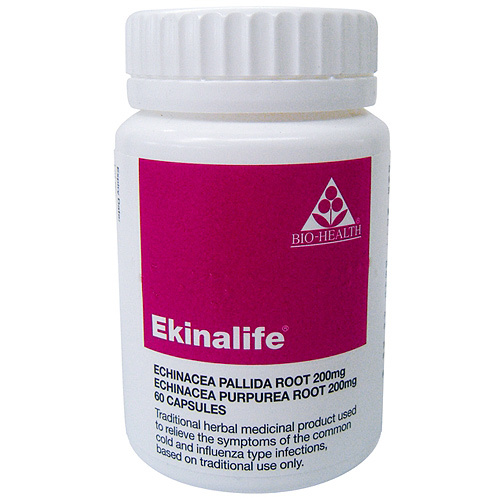 Adults, elderly and children over 12 years - Take one capsule 2 times a day, morning and night, swallowed with water. Not recommended for use by children under 12 years of age. Do not use for more than 10 days. If symptoms persist or worsen or do not improve after 10 days of use, a doctor or a qualified healthcare practitioner should be consulted. 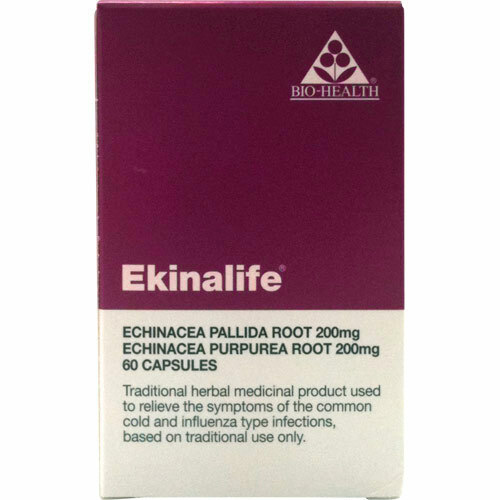 Below are reviews of Ekinalife - Echinacea Pallida & Purpurea - 60 x 200mg by bodykind customers. If you have tried this product we'd love to hear what you think so please leave a review. I was told by a local health food shop that this is the best brand to buy. Unfortunately, they have since told me they are unable to get it. I was very pleased to see this on sale with Bodykind. Always have a pot at home - just in case but works wonders at the onset of a cold/flu.